Bikebox Online will provide hard case bike boxes (“bike box”) to customers for transporting bikes. Bikebox Online use 3 different brands of box including Velovault, Bikebox Alan and Polaris Pod Pro. Customers may be request a particular brand although allocation of this is subject to availability. The rental fee is based on £6 per day for every day the box is hired out. Additional charges will be added in the event the bike box is damaged, missing any parts or returned later than the date specified in the booking form. A service charge of £6 is payable for each day the bike box has not been returned. International courier may be considered although in these cases, the customer will be liable for the box whilst in transit and take out additional insurance to cover any missing bike box or delays. In addition to the rental fee, a £100 deposit is payable per individual box. 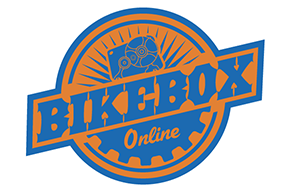 Payment can be made by cheque to Bikebox Online where it will be held before returning upon receipt of the bike box. If a cheque is not available then payment can be made by bank transfer, cash or Paypal. The lease term shall begin and end as stated on the booking confirmation form. Alternative arrangements may be made on a discretionary basis with the hub manager. Delays in returning the bike box without prior agreement will result in charges of £6 per day. A time slot will be stated on the booking confirmation. Many of the hubs are run from owner homes or shops that may not be open during normal working hours. Our hubs try to be flexible but we cannot promise that there will be availability if you come outside of the agreed hours. The bike box may be used in a careful or proper manner. Please ensure that your bike and components are clean before packing the box. All foam and lanyards must be returned with the box. We recommend that you take out cycling insurance that will protect you should the bike box become damaged in transit. We have agreed an affiliate rate with our partner Yellow Jersey Cycle Insurance which offers holiday cover for you and your bike. Should the box become damaged whilst in air transit then please ensure you report the damage whilst at the airport otherwise it may invalidate your insurance. Damaged boxes are subject to a charge of £250. Please give us a contact number so we can hold of you for collection and return of your bike. Satnavs are great but sometimes we get delayed in traffic or road closures and we’ll need to call you to let you know we’re running late! If you fail to be in when we’ve arranged to collect or return your bike you will still be charge the full amount (see cancellation terms and conditions below). Please be aware that your bikes and bags may be searched at any point on our journey, so please don’t pack any illegal items. By agreeing to our terms and conditions you are taking full responsibility for all items encompassed within your belongings (including your bike itself). We take no responsibility for any items deemed illegal by customs or any other law enforcements. The total value of the consignment of bikes is insured for £120,000 which is about £4,000 per bike, so please give us an accurate estimation of the value of your bike. Bikebox Online or our partners reserve the right to cancel an event due to lack of interest up to 12 weeks prior to the event. This gives customers enough time to book alternative transport. Bikebox Online will prioritise cancelled customers for rental bike boxes.